Back pain is the most common complaint we treat. More than 80 percent of Americans experience back pain at some point in their lifetime. For many, the effect of back pain is an everyday battle which immensely impacts the quality of life. The pain we feel — whether in the back, the hip(s), or down the leg(s) — is the body’s request for change. Back pain is not an indication something is broken, needing to be “fixed.” By taking the time to understand the problem and how it behaves, we can apply the right tool for the job — only then can we achieve a solution. Back pain is most commonly of mechanical nature, meaning how we move and use our body. If your back pain changes — for better or worse — with varying movement and positions accompanied by stiffness or loss of normal motion, you likely suffer from mechanical back pain. The more common acute back pain is an episode lasting no longer than six weeks. Back pain is considered chronic when lasting greater than three months. Because the nerve supply to your legs stems from the spinal cord within the spine, poor spinal mechanics can alter the signals from your brain to the muscles. It is not uncommon to experience symptoms such as pain, muscle weakness, or numbness and tingling anywhere down your leg(s), with or without local back symptoms! The pain we feel is simply a request from our brain to change. Pain is usually unassociated with damage, rather it’s an alert we need to change our physical behavior or else serious problem may result. Mechanical back pain does not have to be debilitating and just because you have back pain does not mean you’re broken, needing to be “fixed”. Just because you have pain doesn’t mean you need an MRI; just because your MRI shows “degeneration,” “disc bulges,” or “arthritis,” doesn’t mean it’s causing your pain. Back pain is often unassociated with the aforementioned structural changes commonly found from imaging, e.g. X-ray, CT scan, MRI. Furthermore, there’s a high prevalence of interpretive errors between radiologists. So, not only does imaging your spine result in a high rate of unrelated findings, the professionals interpreting them cannot concisely agree upon diagnoses! In quality non-surgical care, it’s important to minimize variables and rule out the spine as the pain generator. The sacroiliac joint (SIJ) is the load-bearing, shock-absorbing union between the spine and pelvis. It is a mechanical link that connects the chain of locomotion to the rest of the body. This irregular, synovial and fibrocartilaginous joint is surrounded by a strong ligamentous-reinforced capsule and is minimally mobile (1,2). Approximately 13% of low back pain is attributable to the SIJ (3). Sacroiliac joint dysfunction (SIJD) can be divided into two general categories: mechanical and arthritic. “Mechanical” SIJD results from any process that alters normal joint mechanics. Common culprits include: leg length inequalities, gait abnormalities, lower extremity joint pain, pes planus, improper shoes, scoliosis, prior lumbar fusion, lumbopelvic myofascial dysfunction, repetitive strenuous activity and trauma- especially a fall onto the buttocks. Studies show that over half of mechanical SIJD results from an inciting injury (4). Pregnancy creates an array of sacroiliac joint issues with weight gain, gait changes and postural stressors occurring contemporaneously with hormone-induced ligamentous laxity. “Arthritic” SIJD results from either osteoarthritis or from an inflammatory arthropathy including; ankylosing spondylitis, psoriatic arthritis, enteropathic arthritis, and Reiter’s/reactive arthritis which produce sacroiliitis and resulting pain. Morning pain that resolves with exercise is characteristic of arthritic SIJD. The clinical presentation of SIJD is quite variable and shares several common characteristics with other lumbar and hip problems.The patients lumbar spine must first be ruled out since it’s a common referral for low back discomfort. When asked to point specifically to the site of pain, the SIJD patient will often place their index finger over the PSIS. Pain may or may not refer to the lower back, buttock, thigh or rarely into the lower leg via chemical radiculopathy of the neighboring L5 or S1 nerve roots (5). Symptoms may be exacerbated by bearing weight on the affected side and relieved by shifting weight to the unaffected leg. Pain may be provoked by arising from a seated position, long car rides, transferring in and out of a vehicle, rolling from side to side in bed or by flexing forward while standing. Pain is often worse while standing or walking and relieved by lying down. 1. Sturesson B, Selvik G, Uden A. Movements of the sacroiliac joints: A roentgnen stereophotogrammetric analysis. Spine. 1989;14:162–165. 2. Sturesson B, Uden A, Vleeming A. A radiostereometric analysis of the movements of the sacroiliac joints in the reciprocal straddle position. Spine. 2000;25:214–217. 3. Maigne JY, Aivaliklis A, Pfefer F. Results of sacroiliac joint double block and value of sacroiliac pain provocation tests in 54 patients with low back pain. Spine 1996;21: 1889–1892. 4. Bernard TN Jr, Kirkaldy-Willis WH. Recognizing specific characteristics of nonspecific low back pain. Clin Orthop Relat Res. Apr 1987;217:266-80. 5. Fortin JD, Washington WJ, Falco FJE. Three pathways between the sacro-iliac joint and neural structures. AJNR. 1999;20:1429–1434. Piriformis syndrome arises when a irritated piriformis muscle compresses the sciatic nerve (1). This pressure causes ischemia, congestion, local inflammation and radicular complaints (2). Researchers estimate that piriformis syndrome contributes to up to one third of all back pain (3,4). Presenting complaints for piriformis syndrome include pain, paresthesia or numbness beginning in the gluteal region and radiating along the course of the sciatic nerve. Additional symptoms may develop from local trigger point referral into the proximal thigh, sacroiliac and hip regions. (9) Symptoms are often provoked by holding any one position for longer than 15-20 minutes- particularly prolonged sitting or standing. Positional changes may provide transient relief. Patients may report increasing discomfort when walking, running, stair climbing, riding in a car or arising from a seated position. Activities that involve hip internal rotation, like sitting cross-legged, may exacerbate symptoms (10). Piriformis syndrome shares several common characteristics and may even co-exist with other lumbopelvic problems. The differential diagnosis for piriformis syndrome includes; hip pathology, fracture, lumbar compression fracture, discitis, trochanteric bursitis, sacroiliitis, sacroiliac joint dysfunction, lumbar radiculopathy, spinal stenosis and viscerosomatic referred pain. 1. Yeoman W. The relation of arthritis of the sacroiliac joint to sciatica. Lancet. 1928;ii:1119-22. 2. Williams PL, Warwick R. Gray’s Anatomy. 36th ed. Philadelphia, Pa: WB Saunders Co; 1980. 3. Papadopoulos EC, Khan SN. Piriformis syndrome and low back pain: a new classification and review of the literature. Orthop Clin North Am. 2004;35:65-71. 4. Pace JB, Nagle D. Piriformis syndrome. West J Med. 1976;124:435-439. 5. Beason LE, Anson B.J. The relation of the sciatic nerve and its subdivisions to the piriformis muscle. Anat Record. 1937;70:1-5. 6. Pecina M. Contribution to the etiological explanation of the piriformis syndrome. Acta Anat (Basel). 1979;105:181-187. 10. Magee DJ. Orthopedic Physical Assessment. 3rd ed. Philadelphia, Pa: WB Saunders Co; 1997. ITB syndrome is common in populations exposed to repetitive knee flexion and extension while in a single leg stance. (9) The problem is particularly prevalent in runners, where it comprises almost ¼ of all lower extremity injuries. (2,3,10-17) Ultimately, ITB syndrome affects up to 12% of all runners. (10) The condition is also frequently seen in cycling, weight lifting, skiing, soccer, basketball, field hockey, and competitive rowing. The typical presentation for ITB syndrome is a runner or cyclist complaining of “sharp” or “burning” pain approximately 2 cm above on the outside of the knee – near the lateral femoral condyle. (9) Pain may radiate slightly above or below. (9) Symptoms are provoked by activities that require repetitive knee flexion and extension. Symptoms are more likely as activities proceed. (9) Less severe presentations may report pain only during activity, but as the condition progresses, symptoms become more persistent. 1. S. P. Messier, D. G. Edwards, D. F. Martin et al., “Etiology of iliotibial band friction syndrome in distance runners,” Medicine and Science in Sports and Exercise, vol. 27, no. 7, pp. 951–960, 1995. 2. Ellis R, Hing W, Reid D. Iliotibial band friction syndrome–a systematic review. Man Ther. Aug 2007;12(3):200-8. 4. Fairclough J, Hayashi K, Toumi H, et al. The functional anatomy of the iliotibial band during flexion and extension of the knee: implications for understanding iliotibial band syndrome. J Anat, 2006;208:309-316. 5. Standring S. Gray’s Anatomy: the Anatomical Basis of Clinical Practice. 39. Edinburgh: Elsevier/Churchill Livingstone; 2004. Fetto J, Leali A, Moroz A Evolution of the Koch model of the biomechanics of the hip: clinical perspective. J Orthop Sci. 2002; 7(6):724-30. 7. Drogset JO, Rossvoll I, Grøntvedt T Surgical treatment of iliotibial band friction syndrome. A retrospective study of 45 patients. Scand J Med Sci Sports. 1999 Oct; 9(5):296-8. 8. Fetto J, Leali A, Moroz A Evolution of the Koch model of the biomechanics of the hip: clinical perspective. J Orthop Sci. 2002; 7(6):724-30. 10. Linenger JMCC. Is iliotibial band syndrome overlooked? Phys Sports Med. 1992;20:98–108. Sciatica is often characterized by one or more of the following symptoms: constant pain in one side of the buttock or leg (rarely in both legs), pain that is worse when sitting, leg pain that is often described as burning or tingling, weakness or numbness, sharp pain that may make it difficult to stand up or walk, and pain that radiates down the leg and possibly into the foot and toes. We typically find sciatica symptoms aren’t always as black and white as it’s drawn up in the books. The patient typically can’t draw a straight line with a pen from the back straight down the leg. Rather, the symptoms are variable and change based on positions and movements. The patient may sometimes have pain the glute, their hamstrings feel “different”, and they have an odd sensation in the calf. Sciatic pain can vary from intermittent and irritating to constant and debilitating. Symptoms are usually based on the location of the pinched nerve. The sciatic nerve is the largest single nerve in the body and is made up of individual nerve roots that start by branching out from the spine in the lower back and then combine to form the “sciatic nerve.” Sciatica symptoms occur when the large sciatic nerve is irritated or compressed at or near its point of origin around the lower back. The sciatic nerve starts in the low back, typically at the third lumbar segment. At each level of the lower spine, a nerve root exits from the inside of the spinal canal, and each of these respective nerve roots then come together to form the large sciatic nerve. The sciatic nerve runs from the lower back, through the buttock, and down the back of each leg. Portions of the sciatic nerve then branch out in each leg to innervate certain parts of the leg—the thigh, calf, foot, and toes. The specific sciatica symptoms—the leg pain, numbness, tingling, weakness, and possibly symptoms radiating into the foot—largely depend on where the nerve is pinched. Often, a particular event or injury does not cause sciatica— the most common cause of sciatica is “for no apparent reason” – it tends to develop over time. Our chiropractor in Plymouth helps you understand your sciatica symptoms and will quickly find you a solution or get you to the provider who can help. Mechanical back pain is most commonly caused by poor body mechanics and postural habits. Mechanical back pain can occur suddenly from something as simple as bending over to put on your socks, or can gradually occur for no apparent reason. Pain from bending over is not because forward bending is inherently bad, rather it’s the result of the accumulated stress of repetitive bending — the straw that broke the camel’s back, so to say. The accumulative postural stress of sitting as a daily habit is like bending your finger backward. It may not hurt at first, but the longer you hold it there, and the more pressure you apply over time, it will start to feel uncomfortable and aching. When you let go of the finger, you’ll have a residual ache, but you’ll notice the pain quickly subsides. This is mechanical pain, and is similar to what the typical American with back pain experiences. So, what happens after you lift something heavy with poor form after sitting all day? It’s like cranking that finger back as far as it can go…and it’s probably going to hurt long after you let go of it! While most acute bouts of back pain will resolve on their own within a few weeks, the risk of recurrence is very high. The greatest risk of injury is a previous injury. Few individuals need surgery for back pain. Have a disc bulge? Even if it’s relevant, lumbar disc herniations have been shown to resolve on their own without surgery. If you have intense and unrelenting radiating pain down the leg with progressive muscle weakness, bladder or bowel symptoms, or specific structural problems not responding to conservative therapy, surgery may be warranted. With all mechanical pain, there’s a ‘what’ and a ‘why’ — what the problem is and why it’s occurring in the first place. To achieve resolution it’s crucial to not only identify and correct the problem at hand but address the behaviors which lead to the issue. Our approach isn’t to just “fix” the problem, rather understand what it is and what it isn’t, so the correct treatment is applied to the right problem — only then can we solve the problem. Why use a hammer if you’re not positive it’s a nail? The last thing you want is to hammer away at a screw! 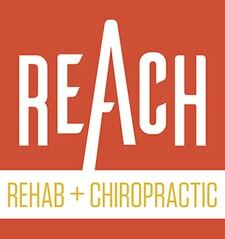 REACH initiates treatment for back pain by utilizing the Mckenzie Method (MDT). MDT is a proven system of examination, treatment, and classification of spinal, joint, and other musculoskeletal pain, backed by years of research, evidence, and practice. The System has been shown to be low cost, fast, and effective even for chronic pain. By exploring simple movements in repetition that improve or worsen your symptoms and functional baselines (i.e. walking, stepping, lifting, reaching, bending, muscle strength), we can understand how your pain behaves.